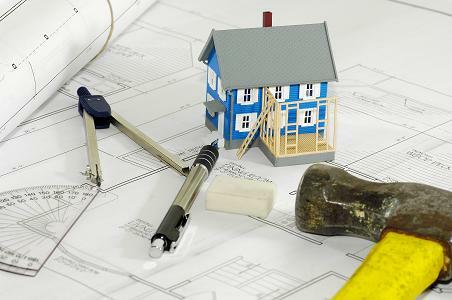 Could inevitable interest rate hikes spur more remodeling? Since the financial crisis, the United States has experienced record low mortgage rates, so it should come as no surprise that many economists are predicting rates to increase sooner rather than later. The expected rise is something many experts say should move more money toward remodeling projects. Because the majority of homeowners have purchased or refinanced at low rates, many are looking to use the cash saved to add value to their homes rather than trade up, a . According to The Demand Institute, homeowners across the country will spend more than $700 billion in renovating their current homes during the next five years. In 2015, home improvement spending is expected to exceed in 2015 the record of $324 billion set during the peak of last decade's housing boom, according to JCHS. More than 78% of households in the U.S. are in need of repairs. The Demand Institute recently reported there is a 26% satisfaction gap between those who say it’s important and those who say their house is up to par. The five home improvement tasks that are likely to happen in the next three years are painting walls—30% say they will complete, replace carpeting/flooring (25%), remodel bathroom (20%), remodel kitchen (18%) and replace windows/doors (17%). The National Association of Home Builders’ (NAHB) Remodeling Market Index (RMI) posted a record-high result of 60 in the final quarter of 2014. The reading level indicates remodelers’ confidence in the quarter-over-quarter improvement in the remodeling market. The 203k loan program can help borrowers purchase or refinance home in need of some improvement. One of the biggest benefits of 203K loans is that borrowers can obtain a single loan at a long-term fixed or adjustable rate. Another renovation loan program, the HomeStyle, will cover most of the same repairs as a 203K, but adds more flexibility for borrowers to make exterior changes and allows for luxury items like a new pools, spa or exterior kitchen. Many use the program to renovate their vacation homes or investment properties.